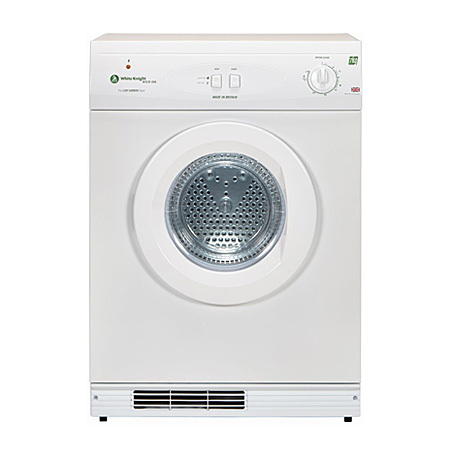 The ECO43A features a reverse tumble action that works to reduce the possibility of tangled clothes..
On the ECO43A Gas Tumble Dryer the drying time is selected by the user dependent on the load to be dried. With exceptionally low running costs, this dryer is a perfect choice for the energy conscious consumer. For use in the United Kingdom and Ireland with natural Gas only. 61% less running costs compared to an electric Dryer. IMPORTANT: This appliance must be installed by a Gas Safe registered installer, Please check on www.gassaferegister.co.uk/ before you make a purchase. Pay an initial 10% Deposit of £40.00. A £29 settlement fee is payable at the time of final payment. Settle the balance in 12 months interest free.